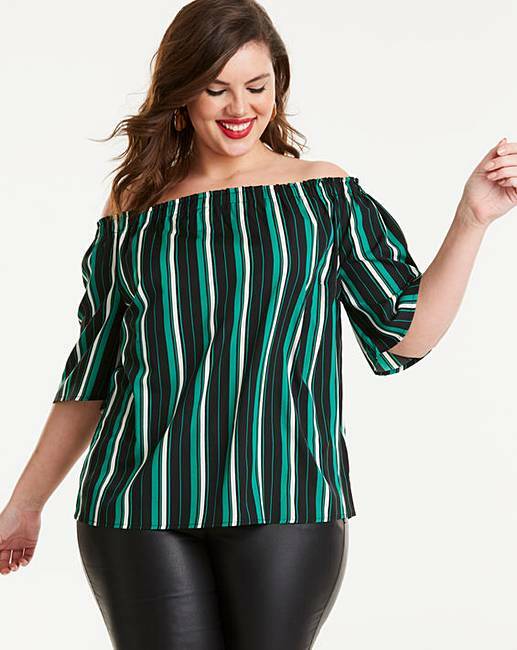 Green Stripe 3/4 Sleeve Bardot Top is rated 3.9 out of 5 by 7. Rated 5 out of 5 by Caz72 from Great value for money I purchased this two weeks ago very smart, and great value for money. I also purchased it in black. I have received lots of compliments when wearing this top. Rated 5 out of 5 by Stacy84 from Fits lovely I ordered this for my holiday. So happy. Fits perfect and looks smart . Rated 5 out of 5 by Amp from Great value.... 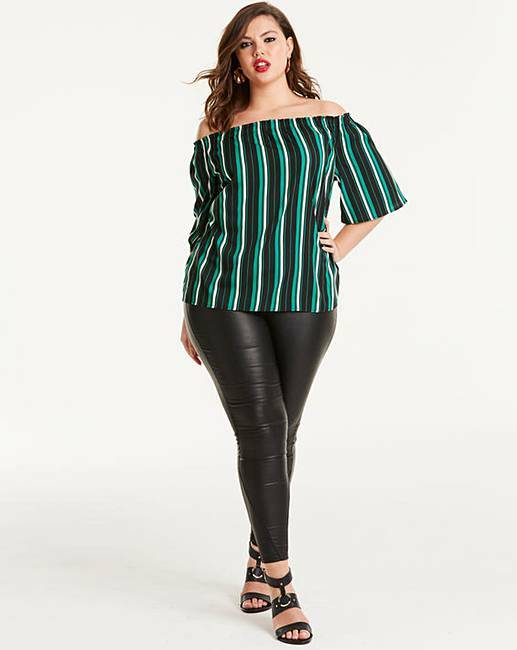 I bought this 2 weeks ago....great fit....and washes well and well worth the money! Rated 5 out of 5 by TAN1961 from Fab and easy I purchased this for my up coming holiday. Great material. 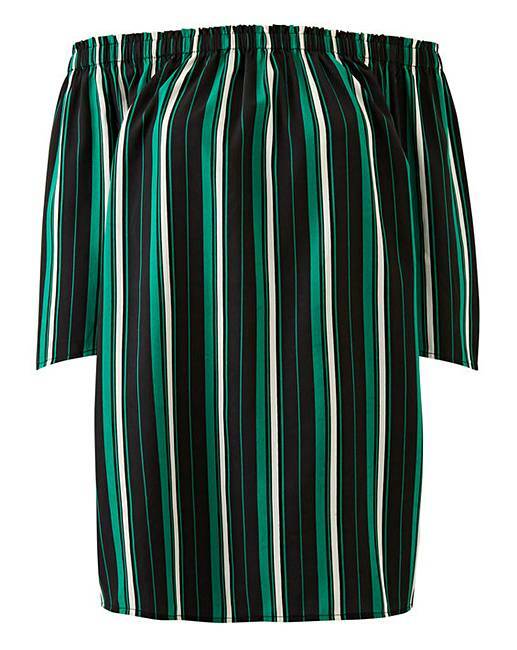 Can be dressed up or down to suit occasion. Very pleased.